Lockheed Martin has been awarded a contract by JSAT Corporation of Japan to build its next geostationary telecommunications satellite, designated JCSAT-10, which will provide communications services throughout Japan and Asia following its scheduled launch in 2006. Financial terms were not disclosed. JCSAT-10 will be a hybrid satellite, equipped with Ku-band high-power transponders and C-band medium-power transponders and will be located at 128 degrees East longitude. The spacecraft is based on the award winning A2100AXS platform manufactured by Lockheed Martin Commercial Space Systems (LMCSS), Newtown, Pa. After becoming operational, the satellite is refered by the designator JCSat 3A. 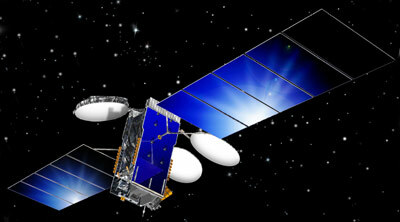 Lockheed Martin has been awarded a contract by JSAT Corporation (JSAT) of Japan in October 2005 to build its next geostationary telecommunications satellite, designated JCSAT-11. JCSAT-11 was to be reserved entirely in orbit as a back up satellite for other JCSAT satellites following its scheduled launch in 2007. Financial terms were not disclosed. JCSAT-11 was lost in a launch failure. JCSAT 12 as a replacement for the lost JCSAT 11 was ordered on the same day for a launch in 2009. After becoming operational, the satellite is refered by the designator JCSat RA.